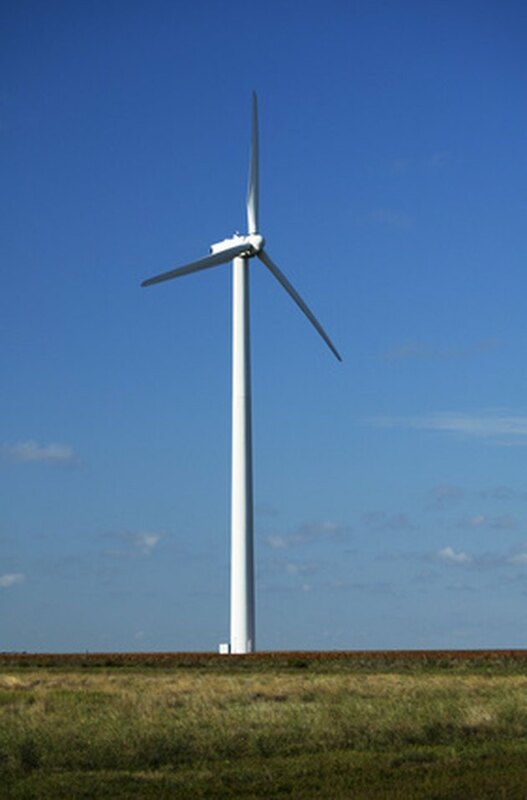 a wind turbine uses motion to create electrical current. Windmills convert wind energy directly into mechanical energy for such tasks as milling grain--the source of the term--or pumping water, which is usually the purpose of windmills you see on farms. A wind turbine converts wind energy into electricity, which can then be used to power electrical equipment, stored in batteries or transmitted over power lines. A wind turbine has essentially the same parts as a simple electric motor, but it works in reverse: A motor uses electrical current to produce motion; a wind turbine uses motion to create electrical current. Though "windmill" is frequently used by laypeople to describe electricity-generating wind turbines, the wind power industry and windmill manufacturers both make a careful distinction between the terms. How Do Pneumatic Motors Work?